Preferred Hotels & Resorts, the world’s largest global provider of sales, marketing and distribution services to independent luxury hotels, continues to expand its Middle East portfolio with the addition of two new five-star hotels in the Kingdom of Saudi Arabia and another five-star hotel in the Kingdom of Bahrain. The three additions consist of a duo of ultra-boutique properties in the Saudi capital Riyadh, namely the Vivienda Residences and Vivienda Granada, along with independent luxury leader, The Domain Hotel & Spa, in Manama, Bahrain. All three properties join the Preferred Hotels & Resorts LVX Collection of refined and globally sophisticated hotels and resorts and represent the company’s debut in these two key regional markets. “This is a milestone moment in the development of the Preferred Hotels & Resorts brand in the Middle East. We are making great strides in the region’s dynamic hospitality market, which is synonymous with luxury global and regional brands as well as unique independent hotels and provides strong synergy with Preferred’s exacting brand values,” said Saurabh Rai, Executive Vice President, Preferred Hotels & Resorts. Effective immediately, all three properties have the opportunity to capitalise on Preferred’s 48-year tourism industry pedigree, with access to its innovative sales and marketing expertise and network of sales professionals located in 35 offices worldwide. In 2015, Preferred showcased the value it brings to its hotel partnerships by generating more than US$1 billion in collective reservations revenue for its member properties around the world. Thus far in 2016, the brand’s success in supporting independent hotels has continued to be strong, producing a 19% increase in reservations revenue for member properties globally from January through August 2016, compared to the same time period in 2015. According to hospitality research firm STR, in Q2 2016, hotels in Saudi Arabia experienced nearly flat occupancy (-0.5% to 64.8%), but a double-digit rise in ADR (+14.2% to SAR816.60) which drove a double-digit increase in RevPAR (+13.6% to SAR528.86) compared with the same period in 2015. The market is also experiencing exponential growth, reporting the most rooms ‘in construction’ among the countries in the Middle East and Africa, with 35,770 rooms in 81 hotels. Riyadh alone has 6,657 rooms in 30 hotels under construction. Given the Saudi government’s diversification strategy, the extra rooms will be needed. Economic analysts expect that by 2020 the number of tourists visiting the Kingdom will increase from 200,000 to 1.5 million. Deputy Crown Prince Muhammad Bin Salman has rejuvenated the Kingdom’s tourism sector as the strategic plan aims to increase the revenue generated from tourism to 18% of GDP in the next 14 years. To put that into perspective, in 2015 oil revenue alone accounted for more than 70% of overall government revenue. The highly sought-after Vivienda Residence, which is comprised of 12 stunningly designed and furnished private villas offering 134 to 634 square metres of living space, is close to the iconic Kingdom Tower. The gated residence features a pool, gym, all-day Italian restaurant and is about to unveil its own pop-up concept with a calendar of visiting Michelin-starred chefs. Sister property, the 48-room Vivienda Granada, is also an all-villa property, with a collection of three-bedroom residences located in the new financial district of Al Shohada, just a 30-minute drive from the international airport and set within 33,000 square metres of landscaped grounds. 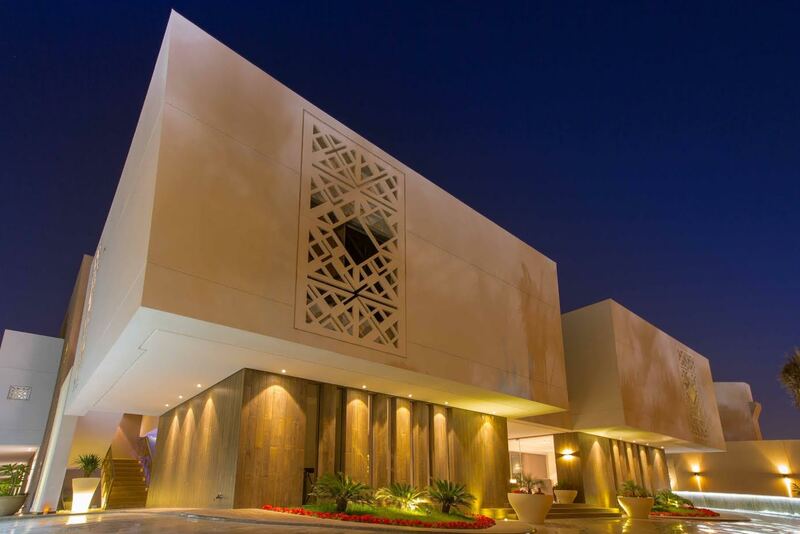 A leading independent property in Manama, The Domain Hotel & Spa offers 131 guestrooms and suites and is located in the upscale, and popular, diplomatic area of the Bahrain capital, and just seven kilometres. The hotel is also a popular choice for corporate and social events with a suite of conference facilities. Other recent additions to Preferred Hotels & Resorts’ burgeoning Middle East portfolio include the soon-to-be-opened DUKES Dubai and a number of hotels under the Katara Hospitality portfolio in Qatar such as Simaisma, A Murwab Resort. A total of 91 new properties joined forces with Preferred Hotels & Resorts in 2015, and an additional 55 properties have been welcomed into the brand portfolio thus far this year. Preferred Hotels & Resorts is the world’s largest independent hotel brand, representing more than 650 distinctive hotels, resorts, residences, and unique hotel groups across 85 countries. Through its five global collections, Preferred Hotels & Resorts connects discerning travellers to the singular luxury hospitality experience that meets their life and style preferences for each occasion. Every property within the portfolio maintains the high quality standards and unparalleled service levels required by the Preferred Hotels & Resorts Integrated Quality Assurance Program. The iPrefer™ hotel rewards programme, Preferred Residences℠, Preferred Family℠, Preferred Pride℠ and Preferred Golf™ offer valuable benefits for travellers seeking a unique experience.